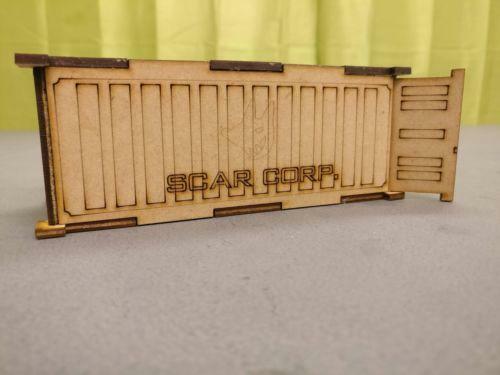 3 x Scar CORP Intermodal MDF Containers with opening doors. We advise using PVA glue or a hot glue gun for the best results. 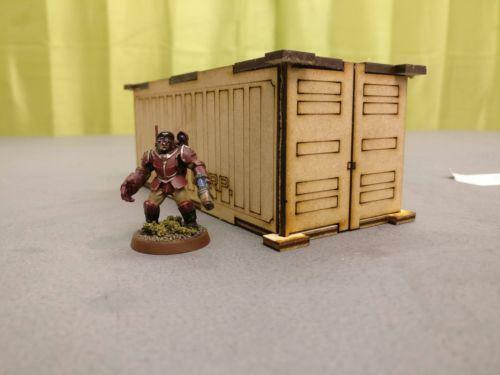 Designed for use with 28 to 35 mm models.